Join us in the AC Hotel Lounge for UNPACKED: Sessions, our live music series bringing the feel-good vibes to start your week. Come enjoy the instrumental sounds of guitarist, Ryan Steinwedel, in front of the glow of the AC fireplace with a glass of wine or cocktail. Join us in the AC Hotel Lounge for UNPACKED: Sessions, our live music series bringing the feel-good vibes to start your week. 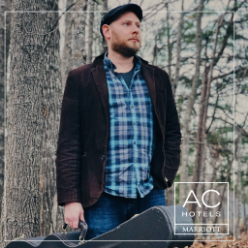 Come enjoy the instrumental sounds of guitarist, Ryan Steinwedel, in front of the glow of the AC fireplace with a glass of wine or cocktail.